Jagears kept me turning the pages. My only complaint with this book is that it was too short. Melissa did an excellent job with this unlikely hero. Dex drew me in from the get go and Rachel, well she may not be sure of what she wants at the beginning of the story, but she quickly discovers what is most important to her. The main characters are well drawn. The conflict is believable and Jagears does a great job utilizing her supporting characters to reveal bits of characteristics about her main characters. I especially love the small bit where the heroine’s father comes on scene. The setting was spot on. It was like being in Independence, Missouri in the 19th century. I can’t wait to see what comes next from Melissa Jagears. 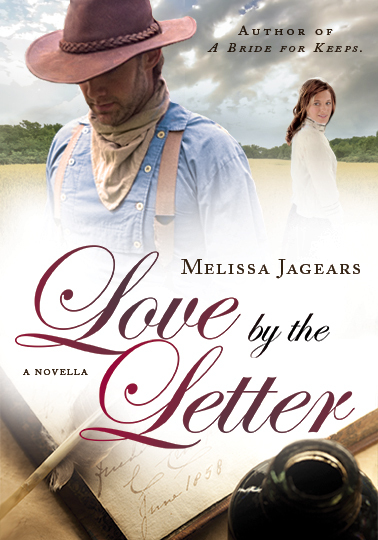 You can read more about Melissa and her upcoming books here. And you can download her free novella here. ***My review is not influenced by the fact that it is currently free on Amazon nor is it influenced by the fact that I think Melissa is one of the sweetest people I’ve met, nor is it influenced by the fact that the poor woman has endured nine months of pregnancy and is about to pop. Nope, if I didn’t like the novella I woulda said so. But I did like it! Thanks for telling us about the novella, Christina! I downloaded it over the weekend and can’t wait to read it! Also can’t wait for the new full length novel. You’re sweet, Christina. And I don’t want any “because we’re friends” reviews anyway. 🙂 Thanks for reviewing for me!